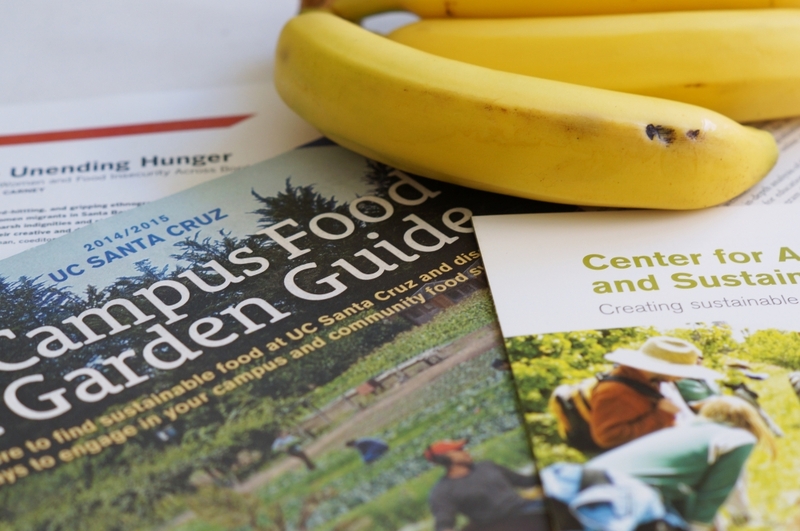 The inaugural California Higher Education Food Summit, a multicampus collaboration and part of the UC Global Food Initiative, was held at UCSB January 16-18, 2015. 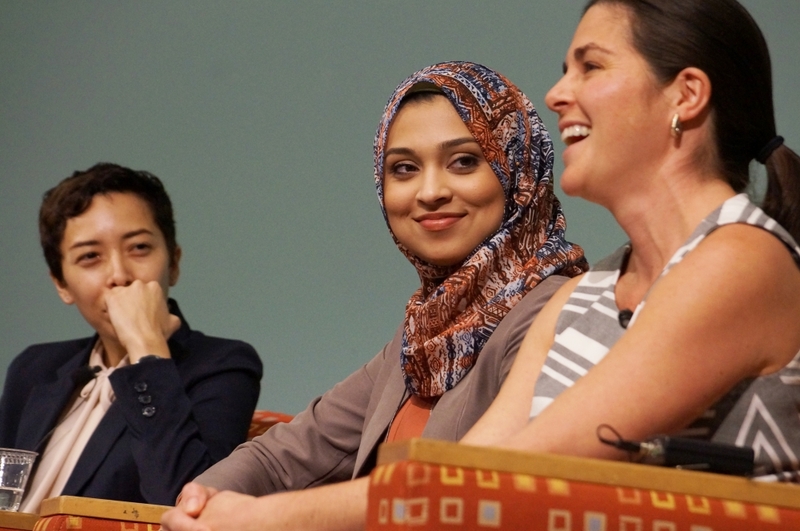 UC Student Regent Sadia Saffin, of UC Berkeley, center, flanked by Vanessa Terán, left, of the Mixteco/Indígena Community Organizing Project, and Melissa Fontaine, right, of the Foodbank of Santa Barbara County, were featured in a panel discussion about food justice. There was an overflow crowd for Dr. John La Puma's workshop, "Can Food Save the Life of Medicine?" during the California Higher Education Food Summit at UCSB. Ben Warner, founder of Santa Barbara-based Food Independence Coop, asks a question during the California Higher Education Food Summit at UCSB. 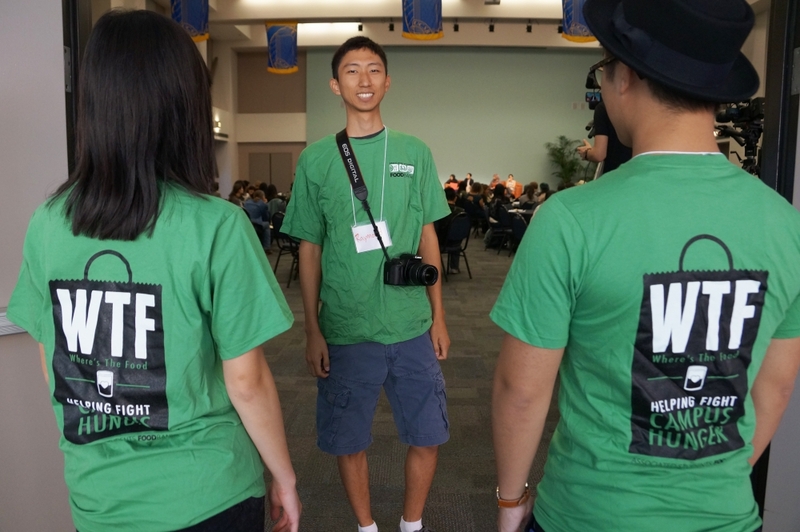 The Associated Students Food Bank was among the organizing parties of the inaugural summit held at UCSB January 16-18, 2015. With a central theme of food justice, such subjects were explored during the three-day, inaugural California Higher Education Food Summit held at UC Santa Barbara. Founded by a multicampus team of University of California staff and students, the first-of-its-kind conference is part of the ongoing UC Global Food Initiative. More than two-dozen workshops held over the course of the conference tackled subjects from culinary medicine to new models for student dining, the health implications of food insecurity and the role of higher ed in the greater food system. There were also presentations on the “Swipes for the Homeless” program that UCSB and UCLA have adapted to aid food-insecure students, how to build partnerships between university campuses and local farms, and the transformational potential of campus gardens. To that latter end, UCGFI fellow Alyssa Billys, of UCSC, is working to help coordinate the amount of produce from the student farm that is sold to campus dining.